The power of light has been harnessed to achieve brilliant, non-surgical facial rejuvenation. With the IPL treatment, you can clear away unsightly skin blemishes like age spots, fine lines, redness and large pores. IPL treatments penetrate into the skin layer and erase blemishes without the need for a single incision or uncomfortable topical chemicals. Known to be both safe and effective, IPL treatments have transformed the world of skincare. 1 What is IPL Photofacial? 11.1 What is an IPL Photofacial? 11.2 How long will the treatment take? 11.3 What happens after the treatment? 11.4 When will I see results? 11.5 Will the spots and redness reappear over time? 11.6 What areas can be treated? 11.7 What does the treatment do? 11.8 What do treatments feel like? IPL treatments or Intense Pulsed Light treatments produce a broad spectrum wavelength that is pulsed towards the skin to erase skin blemishes and trigger your skin’s recuperating cycles. 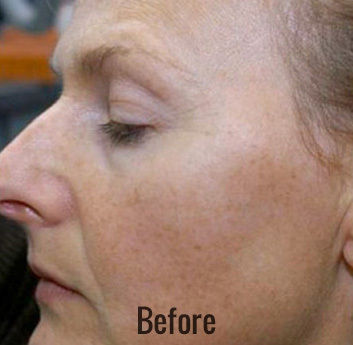 It is a 30-minute (or so) procedure during which intense pulses of light penetrate deep into the skin. After that, it causes collagen and blood vessels below the epidermis to constrict. This very act reduces redness and age lines. The treatment is known to be extremely effective in removing sun spots, age spots, freckles, melisma, and brown-pigmented lesions. The result is often clearer, more youthful-looking skin. This procedure offers the advantage of improving skin tone and surface imperfections associated with aging and photodamage, without any significant downtime. Photofacial IPLs can help patients with rosacea reduce diffuse redness in their skin and can help to maintain normal skin color and tone. High-energy light waves are used to reduce or eliminate many common effects of aging, including skin discoloration, fine lines, and facial wrinkles. IPL treatments are effective due to a process called photorejuvenation where a computer controlled flash gun pulsed light in the spectral range of 400 to 1200 nm to heat chromophores in the skin. Chromophores are structures in the skin that contribute to the color of a cell. A Photofacial is ideal for any part of your face, neck and décolleté with skin redness, telangiectasia (tiny veins), or brown spots. Light brown spots, which were previously difficult to resolve, respond very well to treatment. 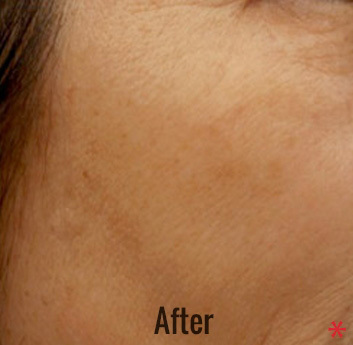 Immediately following the treatment, superficial spots will begin to darken. Over the course of the next one to two weeks, the darkened spots will fade and flake off, revealing the newer, younger, lighter skin beneath. Sun damage is a primary cause of many signs of aging and definitely leads to premature aging symptoms. UV rays trigger and speed degeneration of skin function, leading to loss of skin elasticity, moisture, and an overall aged appearance. Those who have spent a lot of time in the sun will often find irregular brown and red discoloration of the skin. These sunspots and broken capillaries are at the surface level of the skin. Although common, age spots can prematurely age your appearance. 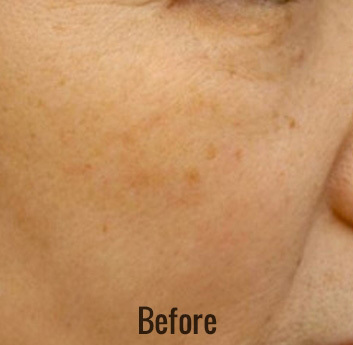 IPL eliminates discoloration and makes the skin tone brighter and even. Through a process called Selective photothermolysis, IPL instantaneously heats up the chromophore responsible for the skin’s color, and leaves surrounding skin tissue unharmed. Some people experience facial flushing because of vascular expansion and blood flow caused by external conditions—usually heat. When the chronic overexposure to heat causes flushing, blood vessels stay permanently expanded, giving the appearance of broken capillaries and facial flushing. 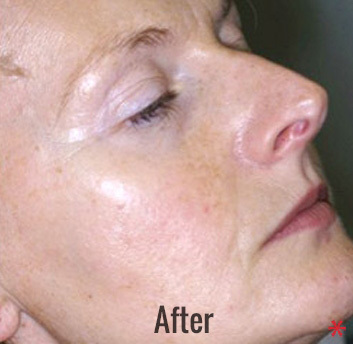 The IPL device breaks down visible blood vessels with optical energy to remove the redness. A protein in the blood cells called hemoglobin absorbs the IPL device’s optical energy, destroying the capillary while sparing the surrounding tissue. When IPL therapy is used to treat conditions from acne to rosacea, a huge side benefit is a general improvement to the quality of the texture of the skin. Over multiple treatments, blood flow to the skin’s surface is improved, leading to healthier-looking, smoother skin. 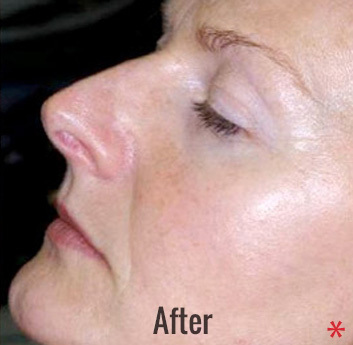 Yet another benefit of IPL photofacials is that they minimize enlarged pores by tightening them. The light from the Lumenis M22 IPL penetrates into the epidermis layer to target chromophore structures where blood vessels, pigment, and collagen can be found. The broadband energy of the IPL pulse also triggers blood flow and stimulates collagen growth. And this, in turn, erases broken capillaries, along with reducing fine lines and wrinkles. Freckles, age spots, and brown spots can appear on the face, hands, and body. During the treatment, the pigmented spots on your skin absorb the light pulse and the chromophore molecules spike in temperature, which causes them to vibrate and break apart. IPL can be used to treat any area of the body, although the most common treatment areas are the face, chest, neck, and hands. IPL treatments are safe and effective for virtually anyone with skin abnormalities such as skin texture issues, uneven tone, sun damage, rosacea. However, there are exceptions. Those who are prone to developing raised keloid or other types of excessive scarring or hyperpigmentation might not make ideal candidates. Individuals with chronic skin conditions or infection may not react well to IPL treatments. During your personal consultation with Dr. Kwok, you will be able to determine which treatments are best suited to your goals. The consultation is a chance for you to ask any questions you have about IPL, how it works, and whether you are a good candidate. A patch test may be offered to determine if you would benefit from IPL therapy. Don’t wait to get the skin of your dreams. Call our office today to schedule a consultation. The treatment is performed conveniently in-office as you are resting comfortably. The first step is to clean the area that’s being treated and a cool gel is then applied to your skin. You’ll be asked to don dark glasses to protect your eyes. Then, light pulses from the Lumen M22 IPL handpiece will send pulses of light to your skin’s problem areas in waves that last fractions of a second. Most people report that the treatment feels like a rubber band being snapped. The entire treatment should take about 20-30 minutes but can vary in length depending on the size of the area treated and the type of blemish being treated. To get optimal results, you will likely need 3-6 treatments spaced approximately one month apart to allow your skin time to rebound. Be proactive with your application of ice packs, using them at 15-minute intervals every hour. You’ll want to use aloe vera gel to soothe the area or a Hydrocortisone cream. The treated area may have redness and be tender to the touch, but this typically resolves itself within 2-24 hours, although it can last up to 72 hours. You can shower or bathe as usual, although cooler temperatures for these will likely feel better on your skin. You also want to avoid harsh exfoliants, brushes, and sponges until your skin has healed. Many patients reporting seeing improvement in skin tone, texture and complexion within several weeks after treatment, with continued improvements in the following months. The cost of your IPL treatment will vary based on your unique presenting issues and the number of sessions chosen based on these needs. After sharing your goals during your consultation and coming up with a treatment plan with our professionals, you will be given a price quote for the procedure. IPL, also known as Photo Genesis, Photofacial, or Photorejuvenation, is an incredible new skin rejuvenation treatment which works by emitting intense pulsed light. The light penetrates the superficial layers of the skin, ridding you of various skin discolorations on any part of your body. Photo Genesis is a way to quickly, safely, and comfortably improve your skin’s texture, tone, and color on your face, chest, arms, and hands, without gel or topical anesthetics. 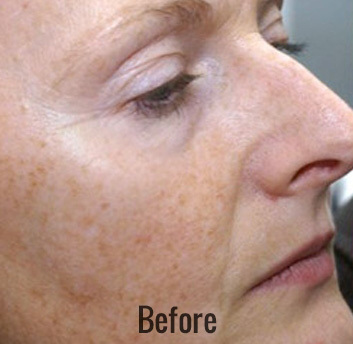 IPL is exceptionally effective at removing brown pigmented lesions such as age spots, sun spots, freckles and melasma as well as diffuse redness such as rosacea leaving clearer, younger looking skin. The actual treatment will only take 15 – 30 minutes. And, since there is no need to apply gel or any topical anesthetic, your total appointment time can easily fit within your lunch hour. Virtually any part of your body with uneven skin tone, diffuse redness, or sun and age spots can be safely treated. The visible light delivered by the Photo Genesis procedure is selectively absorbed by the pigmented spots and red areas on your skin. The treatment additionally tightens pores, improves overall skin texture, and combats broken capillaries and other signs of aging.